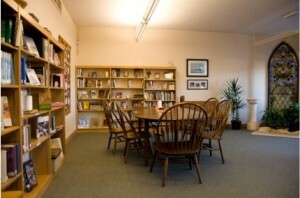 Thanks to the ongoing support of the Cameron family, Forest Hill is fortunate to offer a reading room and spirituality center in the Meg Cameron Memorial Library. 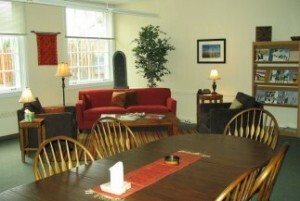 Comfortable couches and chairs, a study table and chairs, and a meditation corner allow for study, prayer, meditation and meetings. 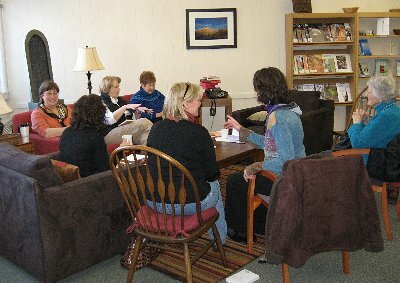 Small study groups enjoy meeting in the library’s home-like surroundings. The library houses a small but significant collection of contemporary and classic spiritual writings, including many volumes from the personal library of Tom Uhle.